How many of the 400-plus use cases that McKinsey explored either directly involve manufacturing or impact manufacturing? We had 42 direct manufacturing use cases. If we broaden it to include cases “impacting manufacturing,” we would add cases in relevant functions such as supply chain, product development, etc., the number would be 100+. Where does manufacturing rank as a business function in terms of AI applications? Manufacturing is the second largest domain when it comes to potential in value creation (right behind Marketing & Sales). 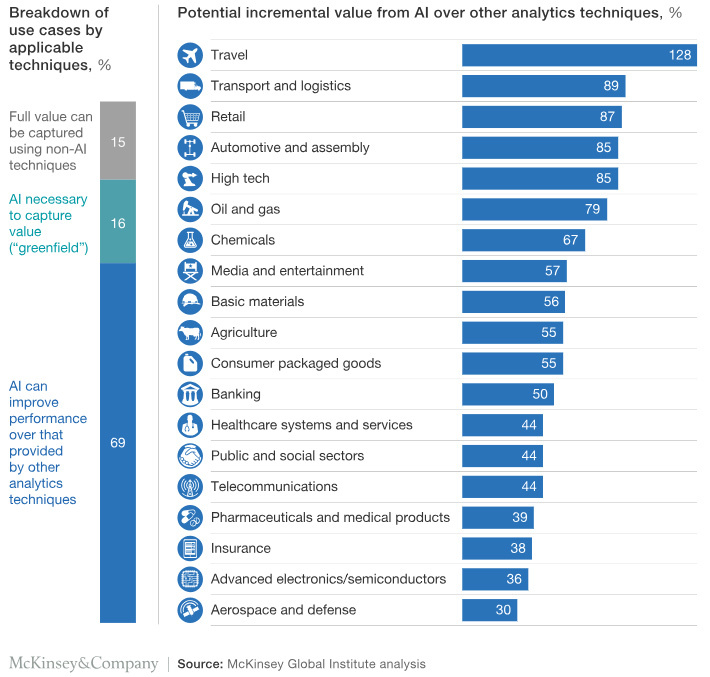 Application of advanced AI (defined as deep learning models) in manufacturing and supply chain have the potential to create $1.2-2 Trillion in annual economic value. Of the three neural networks for deep learning, which is most applicable to manufacturing and shows the greatest potential for wide application? Among the three deep learning techniques, Feed Forward Neural Networks (with wide applications in predictive maintenance, yield, efficiency and energy) are the largest applicable methodology, followed by Convolutional Neural Networks (with applications in predictive maintenance). That said, as you know, a lot of times these specific techniques are combined with other analytical methods to improve result. Can you explain the additional benefits AI brings to predictive maintenance, which in many cases is possible by analytics based on data mining? What are the best ways small- to medium-size manufacturers can afford the financial and human resources needed to effectively employ AI in their operations? There is a lot small to medium size manufacturers can do, given the declining cost associated with setting up AI applications. On the hardware side, sensors and actuators have become much more affordable and reliable; and on the software side, both data systems and deep learning algorithms have become much more accessible. In particular when it comes to predictive maintenance, yield, and manufacturing performance management applications, small-to medium-size players can either develop these solutions internally or work with the many tech providers in the market. AI gets a lot of hype today. What are some of the limits to successfully integrating AI into traditional manufacturing? 1. Need for massive data sets: which would typically require additional sensors and data infrastructure to collect, ingest and process data. 2. Challenge of labelling the training data, which still in many cases needs to be done manually. Given the scale needed for deep learning algorithms to be effective, this could take a lot of time and resources. 3. Explainability: this is an important one because in many manufacturing settings, leaders want to be able to intuitively understand and explain operational decisions and results, and the current deep learning techniques do not always facilitate that. 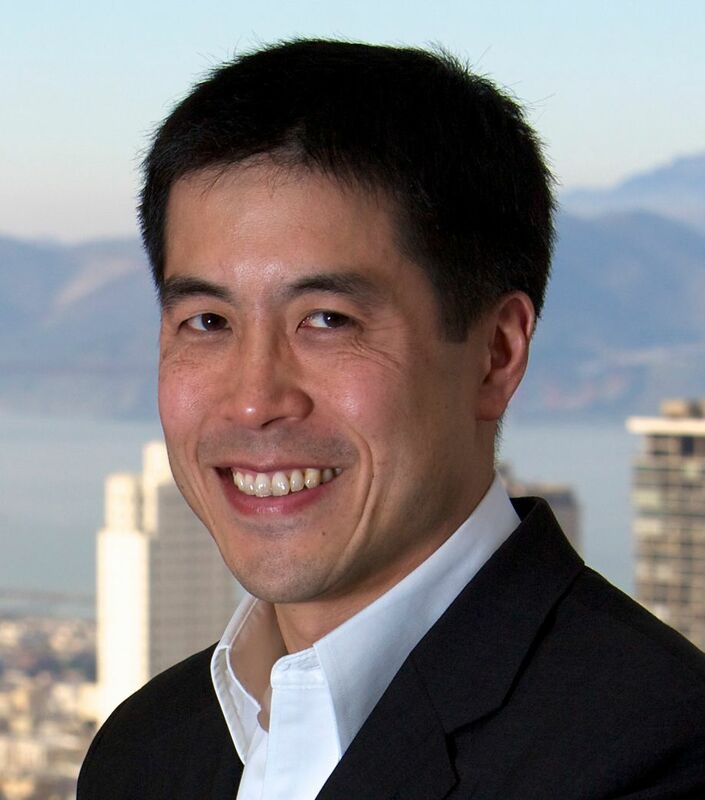 Dr. Michael Chui is a partner at the McKinsey Global Institute (MGI), McKinsey's business and economics research arm. He leads research on the impact of disruptive technologies and innovation on business, the economy, and society. Michael has led McKinsey research in such areas as data & analytics, social & collaboration technologies, the Internet of Things, and artificial intelligence, robotics and automation. Michael is a frequent speaker at major global conferences, and his research has been cited in leading publications around the world. His PhD dissertation, entitled "I Still Haven't Found What I'm Looking For: Web Searching as Query Refinement," examined Web user search behaviors and the usability of Web search engines.